It depends on the size of your cookie cutter and how thick you make them. This particular size cutter and thickness yields about 32 cookies. 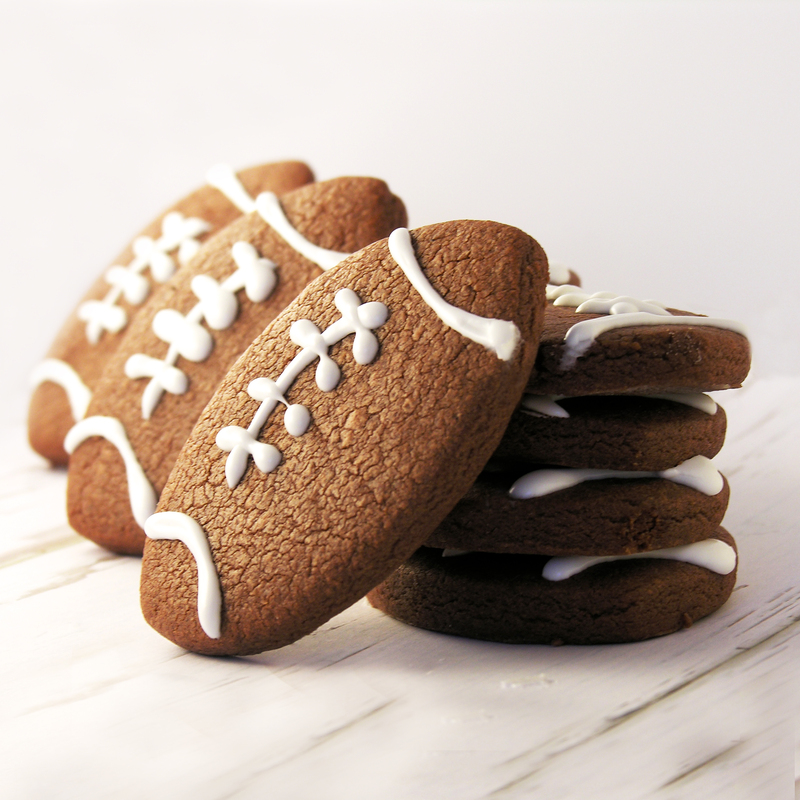 wondering how large your football cookie cutter is, and approximately how thick is thick when you roll your dough? I need to make a ton of these for an event! They look fantastic! Thanks for any info you can give me! 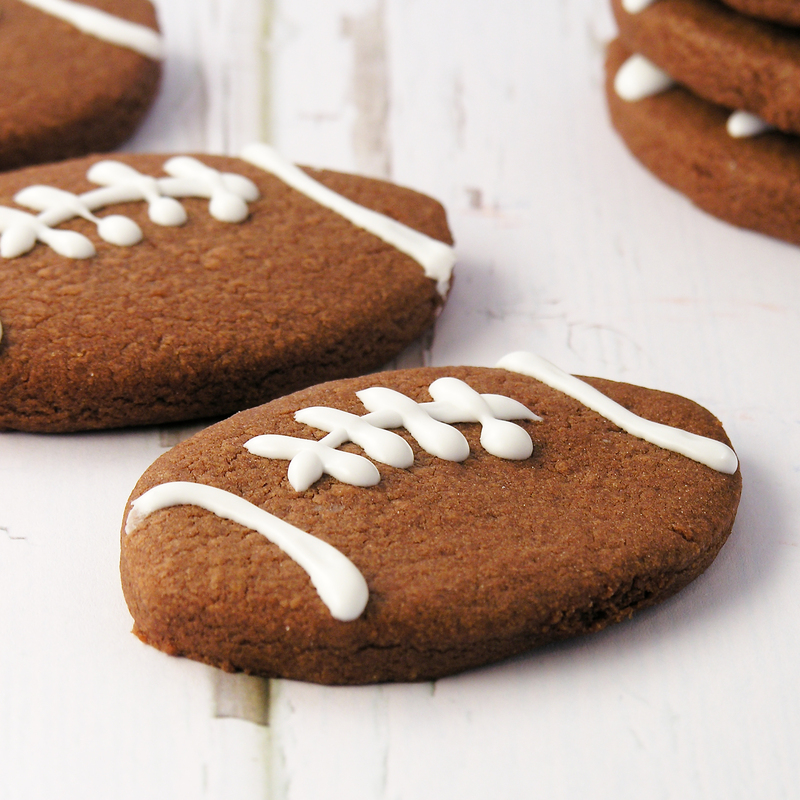 I actually have several sizes of football cookie cutters and I don’t remember which one I used in these pictures…! Sorry!! This batch of cookie dough makes maybe 24 6-inch round cookies, and I usually roll them out at maybe 1/3″ thick. Hope this helps! 🙂 They are SO yummy. You will be a big hit with these at any event! Good luck!!! 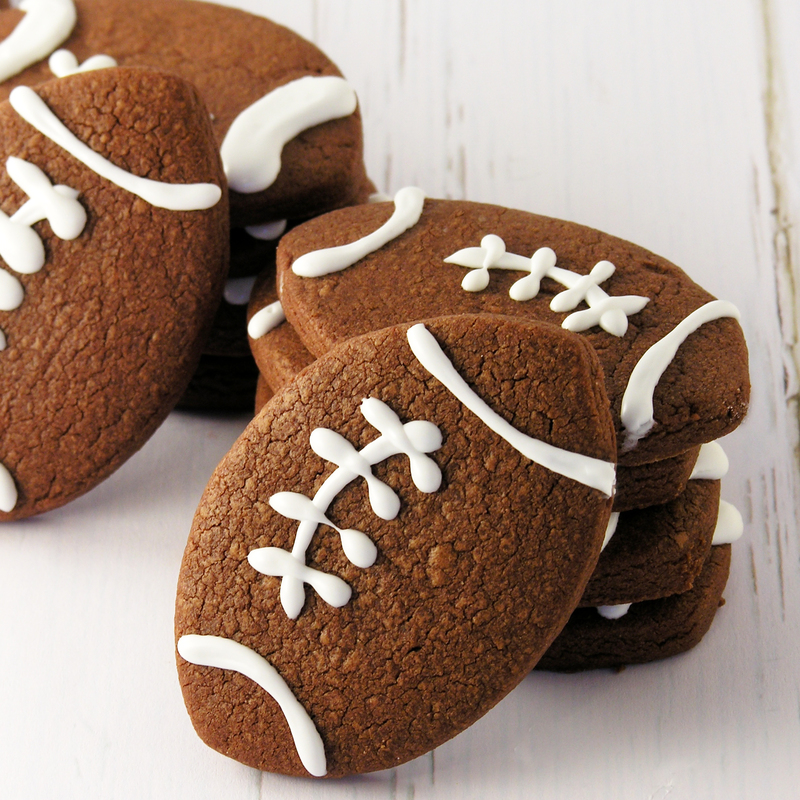 If you don’t have a football cookie cutter, empty a tuna fish can, and take off the bottom of the can. Pinch into a football shape.